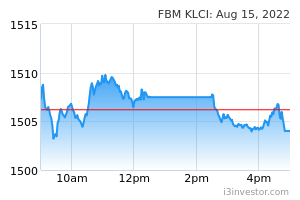 We maintain HOLD on Sime Darby with an unchanged SOPbased FV of RM2.33/share and a PE of 12x for its motor segment. 1) Expect slowdown in the motor segment despite new launches. Recall that China announced a cut in import tariffs from 25% to 15% in July last year. The import duty reduction on US cars was officially implemented on 1 Jan 2019. We understand that this will is for a temporary period of 3 months. Reacting to this, BMW dealerships in the region have lowered their vehicle prices to compete with the lower selling prices of imported cars. This has directly impacted the group’s margins which are already slim for this segment. Management has guided that there will be several new launches this year. These include its best-selling 3-series to be released this month. 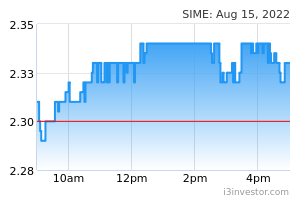 While new launches are likely to arrest some of the decline of its sales in China, we expect Sime’s motor segment to remain sluggish. Revenue and margin erosions are anticipated to persist in the near future. 2) Industrial segment remains the key foundation to support the group’s earnings. At the end of 2QFY19, the group has a huge order book of RM2.5bil with 61% from Australia. Management guided that order book replenishment remains healthy, hence we expect this segment’s revenue to remain strong. Demand for Caterpillar equipment has been driven by strong coal prices backed by infrastructure developments in emerging markets (20% China, 80% South Korea & India). Given that China accounts for 25% of the industrial segment revenue, we believe that any of the country’s economic slowdown will be mitigated by its diversified exposure to the other markets. 3) Long-term plans to expand the healthcare segment. Management sees the longer term growth prospects for this segment despite the present low earnings contribution to the group. The group noted that expansion through M&As could expose it to the high valuations for companies in the healthcare sector. With the organic expansion route, it might explore the possibility of building hospitals in townships launched by related property developers. Although this is viewed positively, any meaningful contribution to the group’s earnings would only be seen with a stronger commitment and in the longer term. We see no major catalysts for now to drive Sime apart from its continued strength in the industrial segment. We remain concerned about the group’s near-term growth prospects as we expect the motor segment to continue to be weak.